"An Assassination is the targeted killing of a public figure. Assassinations may be prompted by religious, ideological, political, or military reasons. Additionally, assassins may be motivated by financial gain, revenge, or personal public recognition." The China Assassination Corps 支那暗殺團 (1910-1912) was founded by republic revolutionary Liu Shifu 劉思複 (1884-1915) in April 1910 in Hong Kong almost immediately following the catastrophic failure of the Geng Xu New Army revolt 庚戌新軍之役 (February 12, 1910, the revolt of the First Artillery battalion, Guangdong New Army led by Ni Yingdian 倪映典). Wanting to avenge the revolutionaries killed in the uprising, the aim of the Corps was to kill Qing royalties and high officials. The Corps (more like a squad) had twelve members including six founding members and they are Liu, Zhu Shutang 朱述堂, Xie Yingbo 謝英伯, Chen Zijue 陳自覺, Gao Jianfu 高劍父 (second in command in the Corps) and Cheng Ke 程克. The other six who joined soon after the Crops were formed are Chen Jiongming 陳炯明, Li Xibin 李熙斌, Liang Yishen 梁倚神, Ding Xiangtian 丁湘田 (long time girl friend of Liu), Lin Guanci 林冠慈 and Zheng Bian 鄭彼岸. Associate members were also admitted at a later stage. As it may be the case for all great revolutions in the world history, the republic movement in China was quite chaotic, whereas no one and everyone was in charge. Liu’s assassin team acted on its own and wasn’t part of any cohesive or coordinated efforts by the revolutionaries. In fact, Dr. Sun Yat-Sen openly opposed the assassination tactic; but then no one did ask him for approval. Because of its stature, the group needed to support itself financially, the initial funding came from contributions from Liu’s friends and Chen Jiongming. As the funding demand grew, Li Xibin, who came from a wealthy family, took up solely the responsibility to provide for the group. He gave more than 10,000 yuan in total, chiefly by selling some of his family’s property holdings. The headquarters of the Corps was at first located at #16 Bonham Road 般咸道, with a branch in Yaumati, where Li Xibin, Liang Yishen and others were busily engaged in making explosives. In July 1910 the headquarters was moved to #23 Mosque Street 嚤囉廟街, from where it was later moved to Tsimshatsui. It is believed that the presence of the Corps was known to the Hong Kong Government who chose not to act against the assassination organization or its members. The governor at that time was Henry Blake 卜力 (Francis Joseph Badeley 畢利 was Captain Superintendent of Police) who held a distinctly tolerant attitude towards the revolutionaries. assassinIn July 1910, Cheng Ke was sent to Bejing as the point man to plot the assassination of the Prince Regent Zaifeng in Peking 攝政王載灃 (the father of the Last Emperor of China, Puyi). Cheng turned against the Corps and went to work for Yuan Shikai 袁世凱, thus ending the mission. In 1924, Cheng became the Interior Minister in the Beiyang government 北洋政府. He was appointed the mayor of Tianjin in 1935. 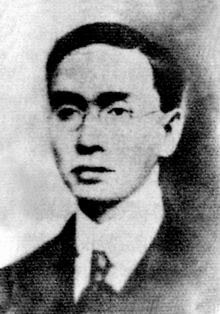 Cheng (1878-1936), like Liu Shifu and Gao Jianfu, studied in Japan. He graduated from the law school of the prestigious Tokyo Imperial University. hard-to-kill admiral A plot to bomb Guangzhou Naval Viceroy Li Zhun (1871-1936) 廣東水師提督李準 was approved by the Corps in April 1911 and was to be carried out by Lin Guanci (1833-1911) and an associate member Chen Jingyue 陳敬岳 (1867-1911) who was a school teacher in Singapore before coming to Hong Kong to join the republic movement. On August 13, 1911, Lin and Chen intercepted Li on his way back to the naval headquarters in Guangzhou. Two bombs went off killing more than 20 soldiers and sedan chair bearers. Li escaped death with two broken ribs and serious wounds in his chest and both arms. Lin was shot death on the spot, while Chen was stopped a short while later at a roadblock. Chen was executed on November 7. Li, the key revolutionary adversary who was responsible for crushing several revolts in Guangdong, asked a personal truce with the Corps after this failed assassination attempt. 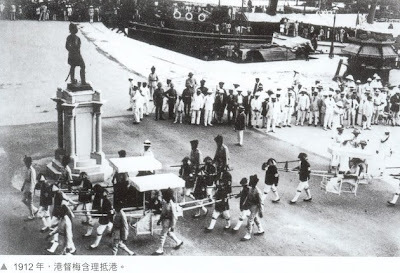 Months later, Li assisted in the independence of Guangzhou by holding back his forces against the revolutionaries. Li became a famous calligrapher after retiring from all official engagements in 1917 and lived until 66. This photo was taken only moments before the shooting started. Henry Francis May  was the only Hong Kong Governor to be a target in an assassination attempt. He was fired upon near the General Post Office as he rode in a sedan chair after arriving from Fiji on July 4, 1912 to assume office of the 15th colonial governor. May was not injured, thanks to a Sikh policeman who graped the shooter's arm just in time; the bullet lodged in the sedan of his wife. The gunman, Li Hung Hung (or Li Hon Hing), aged 25, had a grudge against May. Several years before, May, as then Police Superintendent, had imprisoned Li's father, an undesirable mainland immigrant. Since the failed assassination, May used an automobile as his daily method of transportation. Li was brought to trial and sentenced to life imprisonment with hard labor. On June 13, 1918, May pardoned Li who had only served 6 years in jail. H. F. May was the colonial officer who lived in Hong Kong longer than all others - 38 years during different periods. Norman J. Miners gave a full account of the event as well as the sociocultural background of Hong Kong in his paper: 'The Attempt to Assassinate the Governor in 1912'. 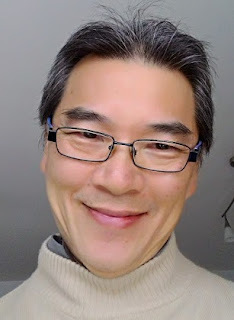 A historian of Hong Kong, Prof. Miners taught in the University of Hong Kong and is the author of 'The Government and Politics of Hong Kong' and 'Hong Kong Under Imperial Rules 1912-41'. Popular comedian, Li Shaofan 李少帆, of the Guangzhou based Cantonese opera company “Ren-shou-nian” 人壽年班 was shot dead while performing on stage at the Wo Ping Theatre. The gun shots came from the audience. a man's robe together with a handgun was found in one of the front-row daybeds (the best seats are actually daybeds where people can half sit half lie-down); the killer was never caught. An unconfirmed story theorized the assassin to be a professional soldier, and that the kill order was given by military strongman General Liu Zhiliu 劉志陸 (1889-1942). 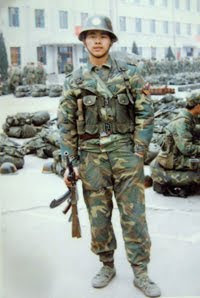 Liu, who became a full general at the young age of 28, was at the time head of the Guangzhou garrison. Liu's concubine, Du Adie 杜阿蝶, was a big fan of Li and when Liu was assigned to a new position away in Shantou (Swatow), Du made up some excuses and stayed behind only to begin a semi-open liaison with Li, that also involved the spending of a great amount of money. News got to Liu, who immediately returned to Guangzhou to confront Du. Before long, Li was shot dead in Hong Kong while Du was found stabbed to death in the suburb of Guangzhou. If this is true, it didn't affect Liu's military career at all, as he continued to rise to the rank of warlord and took command of Yue-jun's (Guangdong Corps) 2nd Army 粵軍第二軍 and the13th Army of the Zhilu (the Beijing national capital area and Shandong) Allied Corps 直魯聯軍第十三軍. 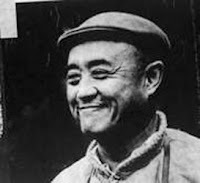 When he was tired of soldiering and meanwhile loaded with cash, Liu went to Shanghai in 1939 and styled hmeself as an industrialist; whilst there, he became a close friend of Shanghai gang bosses - Du Yuesheng 杜月笙 and Huang Jinrong 黃金榮. 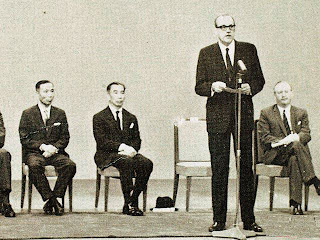 When Japanese occupied Shanghai, Liu was asked by the Japanese Army to become mayor. Denying the appointment , Liu escaped to Hong Kong and then went to Guangzhou, where he received the commission as the Administrator for the Chaozhou-Shantou Areas. He died from heart attack in 1942 at the age of 53 while still holding the Administrator position. 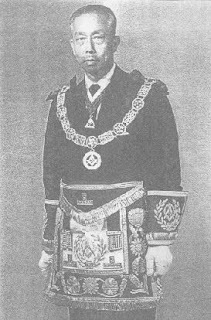 The Hawaii-born and America-educated Lee Hysan 利希慎 (1879-1928) was the son of California gold digger Lee Leung Yik 利良奕 of Hong Kong. After having secured some starting up money, the elder Lee returned to Hong Kong in 1896 with his family and started up a retailing business for men’s undergarment, but soon found a much lucrative dealing in opium. Driven by the adventurer’s instinct and business acumen, he soon became a prominent figure in that field. Meanwhile, his son Lee Hysan completed his high school education at the Queen’s College 皇仁書院 and whereat he later taught. The family business flourished further when Lee Hysan, whose business experience had by now included a stint at HSBC, inherited it from his father in the 1910s; property development became an important element in the portfolio thenceforth. In the following years, Lee aggressively acquired lands and properties, which included a landmark purchase in 1923 from Jardine, Matheson and Co. for several street blocks in the area known today as Causeway Bay. Lee is remembered by the naming of Hysan Avenue and Lee Garden Road. Lan Fong Road was named after his wife, Wong Lan Fong. In the 1920s, Lee’s opium business began to expand to Macau where he, under the auspicious of a firm Yue Shing Hong 裕盛行, procured a monopoly to deal in opium, a system similar to “opium farmer” used in Hong Kong. Lee duly served as the General Manager (CEO) of the firm. The Portuguese Macau Government suddenly revolted the monopoly in 1927 claiming that the government would itself handling all trading in opium thenceforth. Unbeknown to Lee at first, the Macau Government had in fact resold the monopoly to another Macau company for the sum of HK$120,000. When Lee found out he took the Government to court. Several death threats had targeted Lee during the process of litigation causing Lee to be extra careful wherever he went. On April 16, 1928, the court returned in favor of Lee. Four days after the court handed down the ruling, at 1:00pm on April 20, Lee was shot in Central between Kau U Fong 九如坊 and Wellington Street 威靈頓街 while on route to his favorite luncheon club, the Yu Kee Club 裕記會所. The 49 years old “King of Opium” 港澳公煙大王 took three bullets and died on the same day, probably not knowing that one day his family would secure a prominent position in Hong Kong and even flourished beyond the land he was once proclaimed King . Result: Chow crashed the plane that was supposed to carry Zhou Enlai, but the Premier never boarded the plane. Chow fled to Taiwan and did not face trial anywhere. particular one, “Star of Delaware”, belonged to TWAChinese Premier Zhou Enlai was scheduled to fly from Hong Kong to Jakarta to attend the Asia-Afro Bandung Conference on April 11 1955. 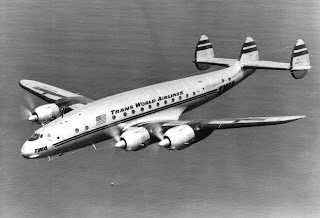 The plane he was supposed to board was “Kashmir Princess”, a chartered Lockheed L-749 Constellation owned by Air India. Having been informed that there was a last minute change in the VIP manifest and Premier Zhou would not be taking this flight after all, and the crew from the Hong Kong Aircraft Engineering Co. (HAECO) had finished servicing the plane, Captain D.K. Jatar took the Kashmir Princess up the sky at 0425 GMT with eleven passengers and a eight-member crew (himself including). 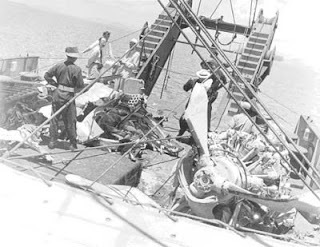 At approximately 0925 GMT, three distress signals were sent by the flight crew that said #3 engine had been shut down due to a fire that was caused by an explosion; the aircraft’s position over the Natuna Islands was also given before the radio went dead. The remains of the aircraft were found two days later about a mile from the shore of one of the smaller islands of the Natuna Islands. The flight engineer, navigator and first officer were the sole survivors. Raymond Wong 黃作梅 (1916-1955), the second Hong Kong branch director of Xinhua News Agency since its establishment in the colony was amongst the deceased. Zhou Enlai flew to Rangoon 3 days after the crashOn May 26, an Indonesian board of inquiry investigating the crash announced that a time bomb with an American-made MK-7 detonator was responsible for the crash and it was highly probable that the bomb was installed in Hong Kong. China’s Foreign Ministry, however, seemingly was able to come to the conclusion that the plane was bombed long before the official investigation had even started, as it issued a statement the day following the crash. It described the bombing as "a murder by the special service organizations of the United States and Chiang Kai-shek". In response to China’s statement, governor Alexander Grantham issued a statement maintaining that the plane was not tampered with in Hong Kong but, upon informed of the result of the formal investigation, directed the Police Force to offer a reward of HK$100,000 for information leading to the arrest of those responsible. Subsequent to questioning more than 70 people connected with servicing the Air India flight, police investigation focused on a HAECO janitor Chow Tse Ming. On September 3, the government announced that a warrant for Chow’s arrest had been issued, but the alleged assassin had somehow fled to Taiwan, and that the British government had ask Taiwan for Chow’s extradition to Hong Kong. 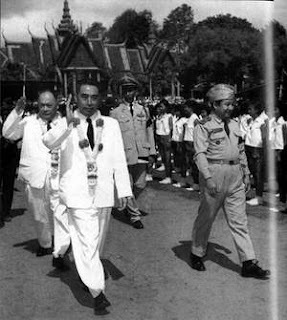 Three days after the crash, Premier Zhou Enlai flew to Rangoon to meet with Indian Prime Minister Jawaharlal Nehru and Burmese Prime Minister U Nu before continuing on to Bandung to attend the conference. The September 1994 edition of China Quarterly (of the Oxford University) said, “Evidence now suggests that Zhou knew of the plot beforehand and secretly changed his travel plans, though he did not stop a decoy delegation of lesser cadres from taking his place." KMT spymasterA former Taiwan intelligent service official Gu Zheng-Wen 谷正文 openly admitted, when interviewed by the China Times Weekly in 1995, that Taiwan was responsible for the failed assassination. The plot was planned and executed by then head of the clandestine mission Zhou Bin-Cheng 周斌成 and staff Chen Hong-Ju 陳鴻舉. The time bomb was placed by Chow for a reward of HK$600,000. Chow never faced trial anywhere. What happened to the twelve after the assassin role? Xie Yingbo 謝英伯 (1882 Meixian, Guangdong-1938 Guangning, Guangdong) – Founding head of the Tongmenghui for the Hong Kong and Macau region, under the direction of Sun Yat-Sen, co-founded “China Daily” 中國日報 – the mouthpiece for the revolutionaries - in Hong Kong in January 1900 (the office of the newspaper was situated at #20, Stanley Street in Central), became the Editor-in-Chief of China Daily in 1910, Co-founded the “Mun Hey News” 民氣報 in New York (the office of the newspaper was situated at #14, Bowery Street, close to the Coney Island Beach) in 1915 as a vehicle to promote the anti-Yuan Shikai campaign, obtained license to practice law in Guangzhou in 1916 and became a prominent lawyer, known as one of the “big 4” lawyers in Guangzhou, established the Guangzhou Journalism Academy 廣州新聞學院 in 1923, elected one of the seven members in KMT’s Central Control Committee 中央監察委員 in 1926, became the founding chairman of the Guangdong Press Club 廣東省新聞記者協會 in 1929, appointed curator of the Guangzhou Municipal Museum from 1934 to 1938, appointed District Attorney for Guangdong in 1935, shot dead by Japanese warplanes in October 1938 while en route to Guangning county, retreating with the High Court from Guangzhou. He was 57. Chen Zijue 陳自覺 - was at one time the principal of the Hong Kong Practical Schoool for Girls (note: or Women) 香港實踐女校, a college of Home Economics modeled after the Aoyama Jissen Jogakko 青山実践女学校 (the famous revolutionary, feminist and writer Qiu Jin 秋瑾 attended this school in Tokyo in c.1904). Situated at #25 Gage Street 結志街 in Central, the Hong Kong school was in fact a façade for Tongmenghui for use to recruit female revolutionaryies and to hide those escaped to Hong Kong wanted by the Qing government in the Mainland. Gao Jianfu 高劍父 (1879 Panyu, Guangdong - 1951 Macau) - took part in the Constitutional Protection Movement 護法運動 during the early years of the republic China, was appointed the head of the Guangdong Bureau of Arts and Craft 廣東省工藝局 and the principal of the First Class A Technical Institute of Guangdong 廣東第一甲種工業學校, became a noted painter of Chinese brush painting and developed the Lingnan style of painting 嶺南畫派 (inspired by Western and Japanese painting disciplines – Gao studied Western-style painting in Macau in 1903 and attended the Tokyo School of Fine Arts in 1906), established the (Truth Pictorial) magazine 真相畫報 in 1914 that was published in Guangzhou, resigned all government engagements in 1920, organized the first ever Guangdong Art Exhibition in 1921 – chiefly to promote the Lingnan style of painting, moved to Macau in 1938 to evade Japanese invasion in southern China, returned to Guangzhou in 1946 after the war, became the principal of Guangzhou Municipal School of Fine Arts 廣州市立藝術學校, moved to Macau again to evade the civil war and died there in 1951 at the age of 72. The painter-turned-revolutionary–turned-assassin-turned-militia-commander-turned-government-official-turned-arts-school-principal was originally trained as an apothecary. Cheng Ke 程克 (1878 Kaifeng, Henan - 1936 Tianjin) - appointed Counselor to the Interior Ministry and a Presidential staff (presidency of Yuan Shikai) in 1912, appointed governor of Hanzhong Dao in Shanxi 陝西漢中道道尹 in 1914, appointed governor-general of Altay 阿勒泰地區(1915-18), elected a member of the House of Representatives in 1918, appointed Justice Minister as well as President of the Laws Amendment Agency (1923-24), appointed Interior Minister (1924) of the Beiyang government, became mayor of Tianjin between July and November in 1935. Cheng died in Tianjin at the age of 58. Chen Jiongming 陳炯明 (1878 Haifeng, Guangdong – 1933 Hong Kong) - Chen established the Canton Army in 1916 and became the military governor of Guangdong (essentially a warlord)(1920-1923) and civic governor of Guangdong (1920-1922) and military governor of Guangxi (1921-1922). He was instrumental in backing Dr. Sun Yat-Sen's Constitutional Protection Movement 護法運動 and helped Sun restore power after the Guangdong-Guangxi War 桂粵戰爭. He disagreed with Sun on how the country was to be united, and over the Northern Expedition. Sun wanted the use of military force to install a centralized government to be controlled by Kuomintang (KMT), while Chen advocated a federalism system using the early model of the United States as an example. On June 16, 1922, Chen's army bombarded Sun's office and residence causing Sun to flee on a ship. The armies of Chen and KMT engaged in several battles between 1923 and 1925. Chen was defeated in 1925 and fled to Hong Kong where he created a political party by the name of "China Public Interest Party" 中國致公黨 and continued to be critical towards KMT, and Chiang Kai-shek who defeated him in 1925. 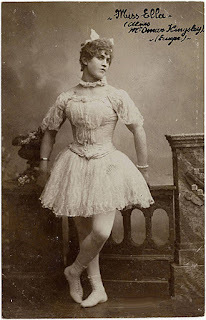 He died in Hong Kong in 1933 at the age of 55. Chen was originally trained as a lawyer. Lin Guanci 林冠慈 (1883-1911) - shot dead while attempting to assassinate Admiral Li Zhun, the Naval Viceroy of Guangdong on August 13, 1911. He was 24. Remembered as one of the "Four Martyrs of Honghuagang" 紅花崗四烈士 (the other three were: Chen Jingyue 陳敬岳, Wen Shengcai 溫生才 and Zhung Mingguang 鍾明光, they were all assassins; Chen was also killed in the same mission as Lin), Lin was buried at the Guangzhou Martyrs Memorial Garden. Zheng Bian 鄭彼岸 - fled to the United States to evade persecution by warlord Long Jiguang 龍濟光 in 1914, returned to China from the United States at the invitation of the Zhongshan County in Guangdong to compile a county history in 1937, became the curator of the Zhongshan Memorial Library in 1947, became the Vice Curator of the Guangdong Cultural Heritage Institute in 1951, died in 1975 at the age 96. For an assassin, he lived a very long life. Wo Ping Theatre was formerly the Empire Cinematograph Theatre 奄派亞影畫戲院, which was built in 1903 and was Hong Kong's first movie cinema. It was situated on Des Voeux Road Central near Jubilee Street. The Fire Department Headquarters was built on the site of the theatre in 1927 after the latter's dismantle in 1921. The Hang Seng Bank Headquarters was erected on the same site in 1963 and has been there ever since. The mayor position was later taken by his junior from the Baoding Military Academy 保定軍校 - Lieutenant General Ren Yuandao 任援道. Son: Richard Charles Lee 利銘澤 (1905-1983), inhirited business from father in 1928, although not appointed to the top position until after WII, served as directors in no less than 60 companies including many listed companies, became the Vice Chairman of the Board of Directors of the N M Rothschild & Sons (Hong Kong) Limited when it opened in Hong Kong in 1973, appointed to the Urban Council (1953-1960), Legislative Council (1959-1965) and Executive Council (1961-1966), became Vice Chairman of Po Leung Kuk (1960-1966), became the Grand Master of Freemasonry for the Hong Kong and Far East District (1961-1983) including the oversight of the Freemasonry in Japan in the 60s and 70s, became Chairman of the Trust Fund established for the Freemasonry for the Hong Kong and South China District (1961-1983), became Permanent Honorary Member of the Hong Kong Japanese Club, became the Vice Chairman of the Council of the Chinese University, created a CBE, close to the Beijing ledership. Harold HW LeeSon: Harold HW Lee 利孝和 (1910-1980), practiced law in Hong Kong as a barrister in 1932, appointed Chairman of the China Stabilization Fund 中國平准基金會 in 1943, appointed Advisor to the Minister of Foreign Affairs of ROC and Special Assistant to ROC’s Ambassador to the United Nations in 1946, co-founded Hong Kong Television Broadcast Limited (TVB)(Hong Kong’s First Wireless TV company) in 1967 and became its first Chairman of the Board of Directors; he continued to hold the position for 14 years until he died. 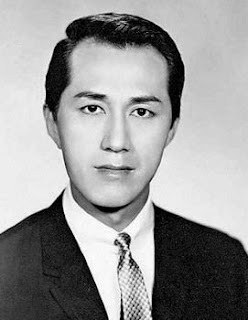 Nephew: Quo-wei Lee 利國偉 (1918- ), joined Hang Seng Bank as a junior clerk in 1946, became the Bank's Chairman in 1983, Non-executive Chairman (1996-1997) and Chairman Emeritus (1998-2004), became Chairman of the Stock Exchange of Hong Kong (1988-1991), became an adviser to the Board of HSBC Holdings PLC (1991-1997), appointed to the Legislative Council (1968-1978) and the Executive Council (1976-1978, 1983-1986), appointed Chairman of the Board of Education in 1976 and Chairman of the Education Commission in 1984, became Chairman of the Council of the Chinese University in 1982, created CMG in 1977 and a Knight Bachelor in 1988, awarded a Grand Bauhinia Medal in 1997. Granddaughter: Vivienne Poy 利德蕙 (1941 Hong Kong - ), daughter of Richard Charles Lee, went to Canada in 1959 as a student, married Neville G. Poy 伍衛權 who is the brother of Adrienne Clarkson - Governor General of Canada (1999-2005) - in 1962, founded the fashion house of Vivienne Poy Mode in 1981, appointed (by Jean Chrétien) Senator for Toronto in 1998 and became Canada’s first Asian senator, selected as Chancellor of the University of Toronto in 2002.